Overflowing hydrangeas in one of the oldest temples in Kyoto!!! Located in the countryside of northern Kyoto called Ohara, Sanzen-in Temple was established between the years 782 and 806. Then, it was officially named “Sanzen-in” in 1871. Sanzen-in Temple is also famous for hydrangeas and about 3,000 of them beautifully bloom every year from the mid-June to July. 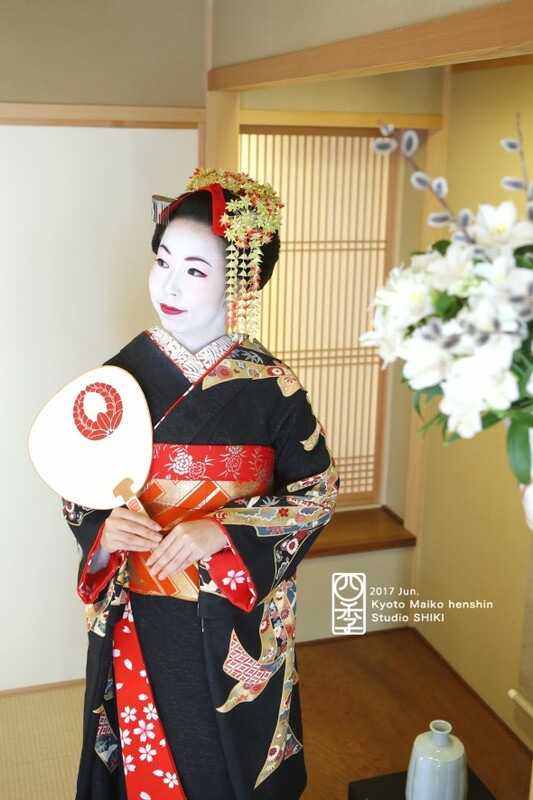 There are various kinds of hydrangeas in Sanzen-in Temple such as hydrangea hirta, star hydrangea, Hydrangea macrophylla subsp and more. 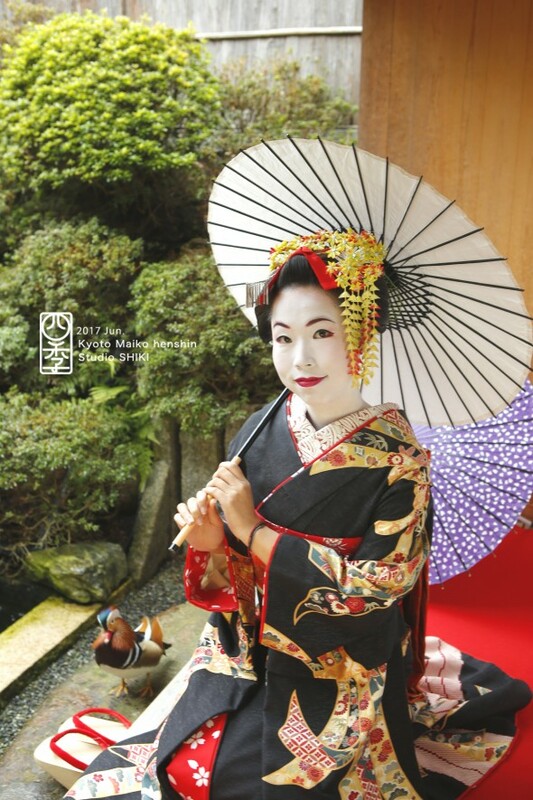 When you step into the garden of Sanzen-in Temple, you may be amazed by the gorgeous and colorful hydrangeas. If you look closely at several hydrangeas, you will notice the differences in colors, shapes and sizes. Japanese people feel that the rainy season has arrived when we find the beautiful hydrangeas. 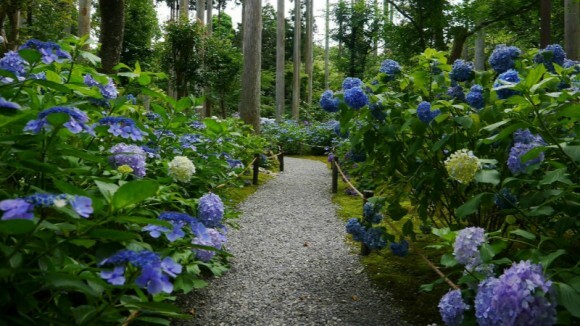 Please have the peaceful and relaxing time in the garden of hydrangeas! Yusei-en Garden is a moss garden which is categorized as a “pond strolling style” garden. 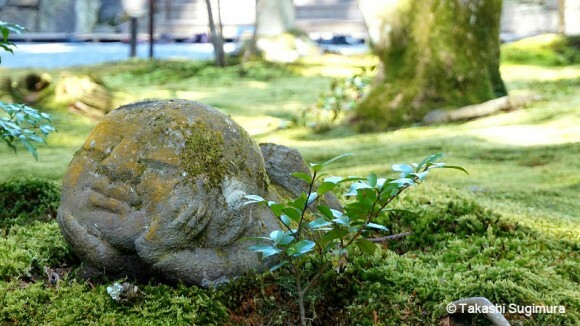 It’s a beautiful moss garden where you can find 6 jizo statues called, “warabe jizo”. Enjoy your stroll through this garden and take in the joy shared by these little statues. 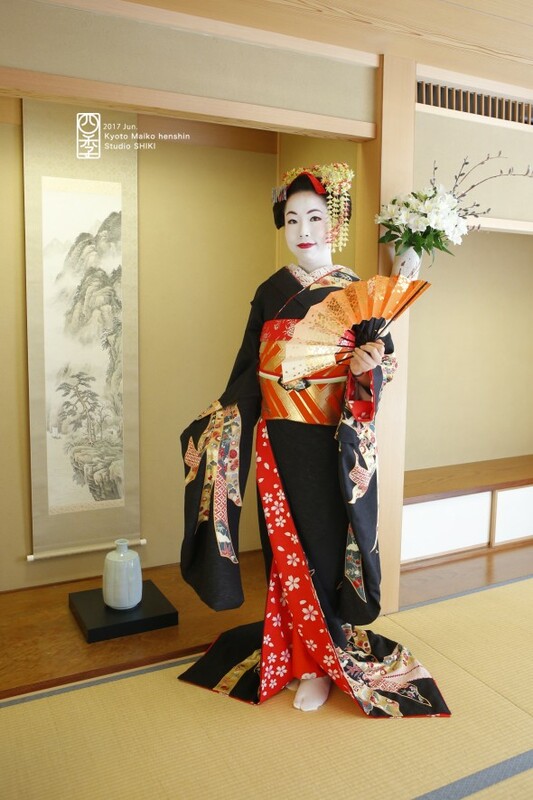 During the autumn, beautiful maple leaves changing colors can be seen, and during the spring, cherry trees planted around the area can be seen blooming. Directions ・1-hour on bus from Kyoto Station (C3 area) on Bus #17. Get off at”Ohara” stop (last bus stop on bus #17) and walk about 10 minutes up the hill. ・23-minute on bus from Kyoto Subway Kokusai Kaikan Station (#3 area) . Get off at “Ohara” stop and walk about 10 minutes up the hill. Friendly for Overseas Visitors Although the foreign language service during the event is not available, there are information brochures in 4 languages.